While it is easy to find flowers blooming in the spring, fall is when the weather turns colder and leaves start dropping from the trees. However, those planning a fall wedding still need the right flowers for their bouquet. Here are some ideas for finding a fall bouquet. 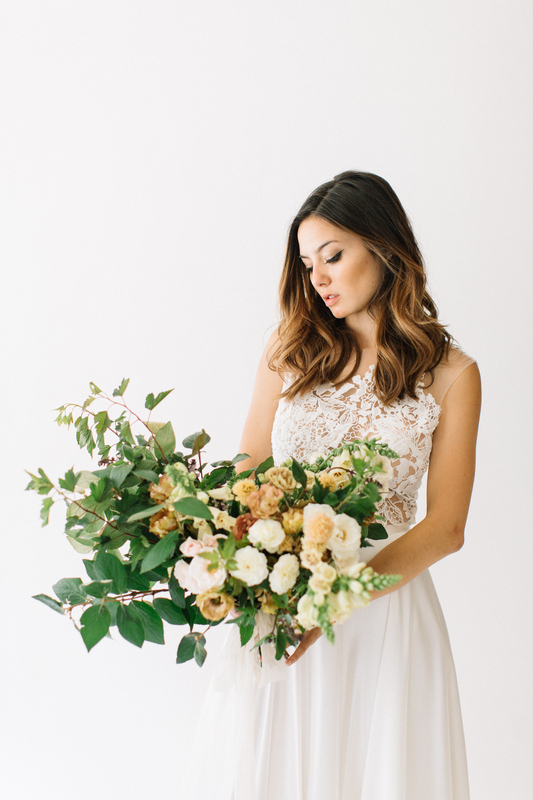 Every bride wants flowers that blend well with the colors and themes of her wedding and dress, but not everyone knows what is in bloom during autumn. Some of this season’s flowers include chrysanthemums, asters, heather, heliopsis and pansies. If you love fall colors, then you may want red, yellow, orange or dark purple in your bouquet. For vibrant red colors, dahlias, ranunculus and roses are popular picks for fall bouquets. Orange gerber daises, mums and calla lilies are also appropriate for fall. When opting for yellow, most people automatically think sunflowers. If you want something different, try yellow poppies, coxcomb or tulips. The heliopsis is also an option that resembles a sunflower but is more delicate and attractive. To give your seasonal bouquet flair, berries fit with the season and add rustic charm. While many brides love the oranges, reds and yellows of fall, some may wish for a more traditional floral color in their bouquets. Having blue, pink, white or light purple in a spring bouquet is normal, but these colors will be unique for autumn weddings. If you want your bouquet to pop, try heather, colchicum or caryopteris. Colchiums offer purple flowers similar to lilies while heathers are delicate little buds that come in purple, pink and white. For blue, caryopteris are small, eye-catching flowers that attract butterflies. While other seasons showcase more sedate styles, autumn bouquets are typically more wild and lavish. This makes sense with a rustic theme, and you may want to incorporate fall leaves, thistle, ivy and ferns into your bouquet. Whatever you select, some element of your bouquet and dress should match. This could be as simple as using a similarly colored material to tie the bouquet with. A dress bead could also be placed in the arrangement, and your bridal boutique could help you with this.